With our friendly service and great value, you’ll know you found the perfect hotel when you make your reservations with the Gonzales Sleep Inn & Suites. When you stay with us, you’ll enjoy amenities and features such as the free full breakfast, free high-speed Internet access, in-room coffee service, oversized work areas, microwave and microfridge. 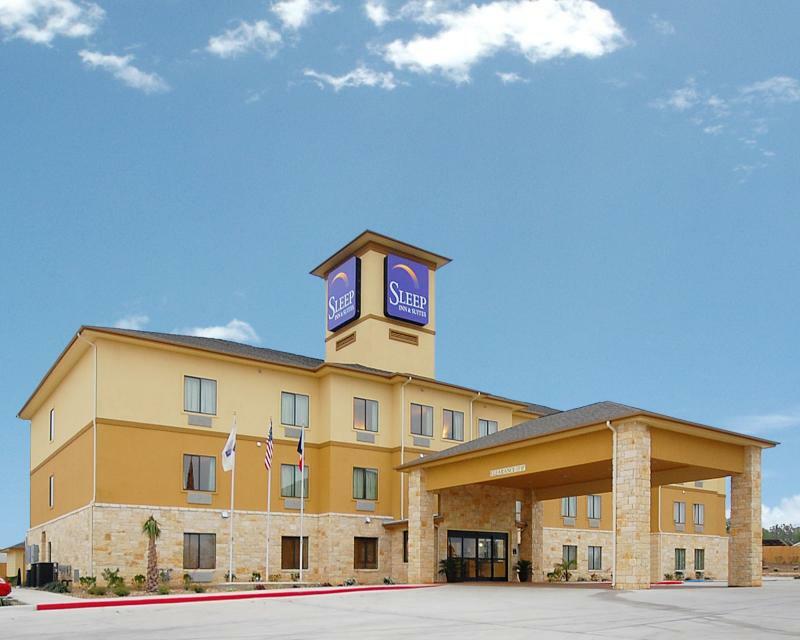 Offering a distinctive style, well-maintained facilities, superior accommodations and affordable rates, Sleep Inn & Suites of Gonzales is the ideal hotel for your stay. Please feel free to call us with any questions you might have in planning your next vacation, business trip or getaway. Reservations can be made Online, or call us direct at: (830) 672-1888 should you have any questions.. You can also E-mail us for any additional information you may require. Don’t forget to check out our current Internet Special. Thank you for visiting our web site. We look forward to you staying with us. Sleep Inn & Suites. Rest well! This website is owned and maintained by A & R Guerra, a licensed user of certain proprietary trademarks and service marks of Choice Hotels International, Inc.